It’s been over a year since they were released, but AirPods are still the runaway hit in Apple’s lineup, rarely available for immediate shipping and selling out as soon as they’re available at most stores. And now, a new report says Apple is planning on making them even more desirable. According to Mark Gurman at Bloomberg, Apple is eyeing a new version of AirPods for release this year which would bring a new chip and support for the hands-free ‘Hey Siri’ command. 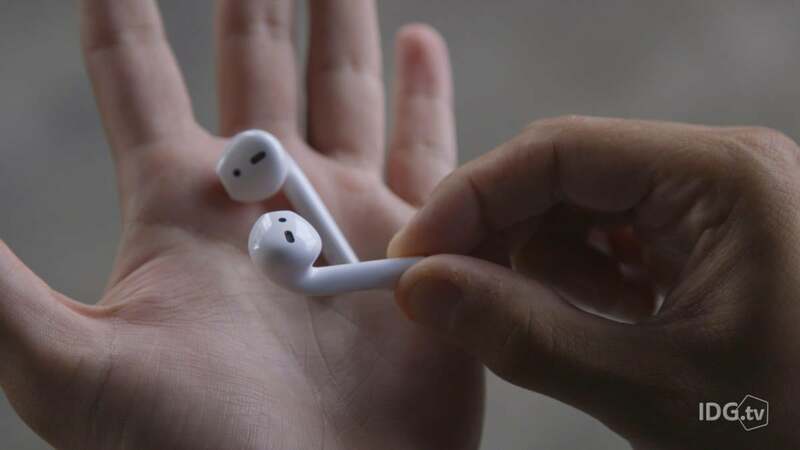 Currently, you need to physically tap one of the AirPods to summon Apple’s AI assistant. Neither of these additions would be a surprise. Apple’s W1 chip was introduced with AirPods and was succeeded by the more-power-efficient W2 chip in Apple Watch Series 3. Presumably a new AirPods model would use a W3 chip that further extends battery gains and boosts Bluetooth sound quality, but the Bloomberg report doesn’t specifically mention new silicon. AirPods already get 5 hours of battery life on a single charge and last more than 24 hours when using the bundled charging case. Hands-free Siri is available on the iPhone, iPad, Apple Watch, and HomePod, and would be a welcome addition to AirPods 2. Like HomePod, AirPods feature some high-tech engineering to hear what you’re saying, including a voice accelerometer that recognizes when you’re speaking and a pair of beamforming microphones to filter out outside sounds. Ming-Chi Kuo of KGI Securities previously said Apple was planning to release an upgraded version of AirPods in the second half of 2018. Also due this year is a new case for AirPods that is compatible with the AirPower charging pad. The impact on you at home: AirPods may only comprise a small part of Apple’s quarterly sales figures, but they represent a major part of the company’s future. Even more than HomePod or iPhone X, AirPods are truly a “skate where the puck is going” product, as Apple bets heavily on a fully wireless, always-connected world. If AirPods are going to become a true wearable and not just a set of earbuds, Apple needs to bring Siri up to the level it’s at on HomePod and iPhone, and adding hands-free summoning is a great step in that direction.